For families looking for a year-round destination to do it all, Snowshoe, West Virginia is the place to go. Snowshoe resort is not only a place for skiing, but is a summertime retreat as well where you can find plentiful activities for the whole family. Even if it's not the time of year or you don't ski Snowshoe rentals serve as a base to begin daily adventures. These can be leisurely or as fast paced as you desire. There is an outdoor adventure to be had by anyone as well as cultural and historical attractions all can enjoy as well. Snowshoe rentals mountain resort offers many convenient accommodations in which you can enjoy the open space. The whole family can experience the mountain resort much differently than from a hotel or motel room. Take in a restful morning and plan your day's excursions. Miles of hiking trails afford leisurely walks in the wilderness, so you can grab a backpack, with food prepared in the full kitchen at Snowshoe vacation rentals. This way, you'll have enough to restore your energy along the way. Adventurers can opt for mountain biking or off-road tours of the rugged terrain. If you like the water, then head up to Shavers Lake, West Virginia's highest lake. The family can admire the views from Ballhooter Lift and once you reach the water, set out on a kayak, canoe, or paddleboat. Man-made attractions include Split Rock Pools, where you can relax in an array of pools, water slides, and hot tubs. Take the family on a journey of the area's history, and see Cass, an old logging town, or explore the influence of science in the region at the National Radio Astronomy Observatory. After an active day, enjoy an evening in, cook dinner, and relax at the rentals at Snowshoe resort. At Snowshoe, you can also enjoy the village experience as well. From food outlets to restaurants, there is a pick of dining if you choose not to eat in. Shop for souvenirs to skiing equipment or whatever else you need at Snowshoe resort. Grilles, bars, and music venues add to an action-packed nightlife when the kids go to sleep, so the adults can have even more fun. Snowshoe vacation rentals are conveniently near everything you'll want to experience here, whether it is nature or in the village. This is sure to make your vacation in the mountains a worthwhile and memorable time. Make the mountain resort Snowshoe the place for your next activity-filled family vacation. Owners will guide you in finding the best accommodations for your needs and budget while creating an itinerary which will appeal to the entire family. This is not the typical hotel or motel destination which means the options for having a stress-free time are many. 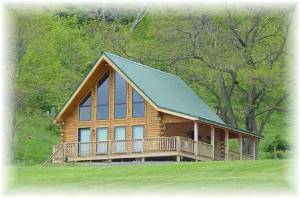 You'll find the relaxing environment of Snowshoe vacation rentals perfect for times resting and planning for outdoor adventures everyone will remember. Interested in More Snowshoe, West Virginia? Check out nearby Canaan , Luray , Moneta , New Market , Warfordsburg , Wintergreen .